Notting Hill Gate W11 After Building Cleaners Domestic & Commercial | Quality Property Care Ltd.
All the renovation works in your home or office are done, and you can’t wait to invite over your close friends to show off the new interior design of your office or home? Well, you can start planning the party right away, and all you need to do is reserve the professional after builders cleaning service of Quality Property Care Ltd. in Notting Hill Gate W11. The after builders cleaning company will take care of all the needed post builders cleaning to remove all dust, debris, and all leftover residues from the renovation work at an excellent after builders cleaning price. 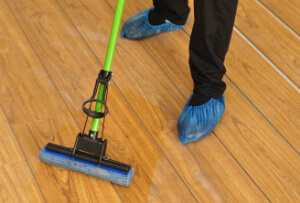 The professional deep after builders cleaning service will deep clean and sanitise your home or only the renovated parts, according to your request. The one off builders cleaning is an hourly based service, performed by expert cleaners with the use of safe and eco-friendly solutions and modern tools. Suitable for both residential and commercial after builders cleaning needs. Get in touch with the customer care service or contact it via the online form, to get more information and a price quote about possible discounts and promotions. Vetted after builders cleaners in Notting Hill Gate W11: they will do the purge just leave them the keys! Refurbishments can not finish successfully in case you leave the mess after the building job. But cleaning all those stains, grime and dust is a huge challenge, isn`t this? The idea of Quality Property Care Ltd. friendly after builders cleaning company Notting Hill Gate W11 is to discharge from at least one of the chores you have during the repairs. Thus, you save money and time! And once the after builders cleaning is over, you will immediately be ready to see the final results of your building job. Sounds good, doesn’t it? In addition to this, you receive free cleaning tips from the helpful and enthusiastic after builders cleaners! Quality Property Care Ltd. is an expert after builders cleaning company. Being on the market for 12 years, we have discovered the huge secret to a successful cleaning service: the individual approach to each customer. This is why the helpful and talented after builders cleaners are instructed to make a preliminary visitation in the home. It makes it easy to make a whole after builders cleaning plan, settle the right date for the procedure and calculating the final price for the service: depending on the hours that are needed for the cleaning service. Please, note that you can leave your instruction to the enthusiastic after builders cleaners, too. They are all understanding, English speaking and friendly technicians with proper skills and edication.